Click above to checkout this amazing wedding inspiration featuring our pretty invitation design and placecards on Green Wedding Shoes. UH-MAZING work by an amazing team!! 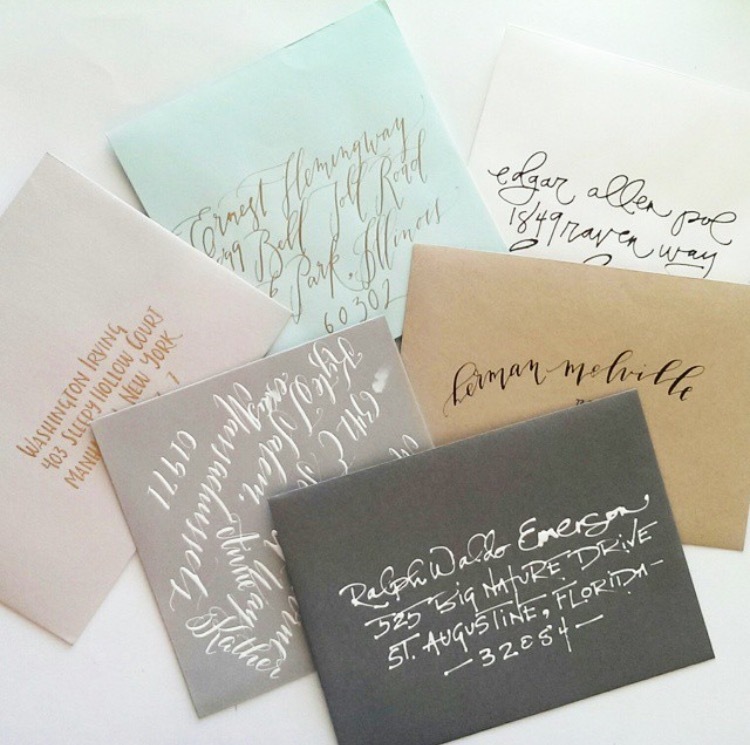 Get Inky with Sarah Pearl! 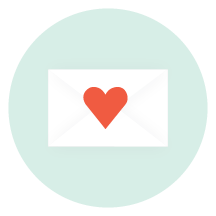 We have nothing but nice things to say about Sarah- she is sweet, quirky, adorable, but most of all- she has a gift for creating beautiful marks on paper and creating mail that seriously makes a person feel special. 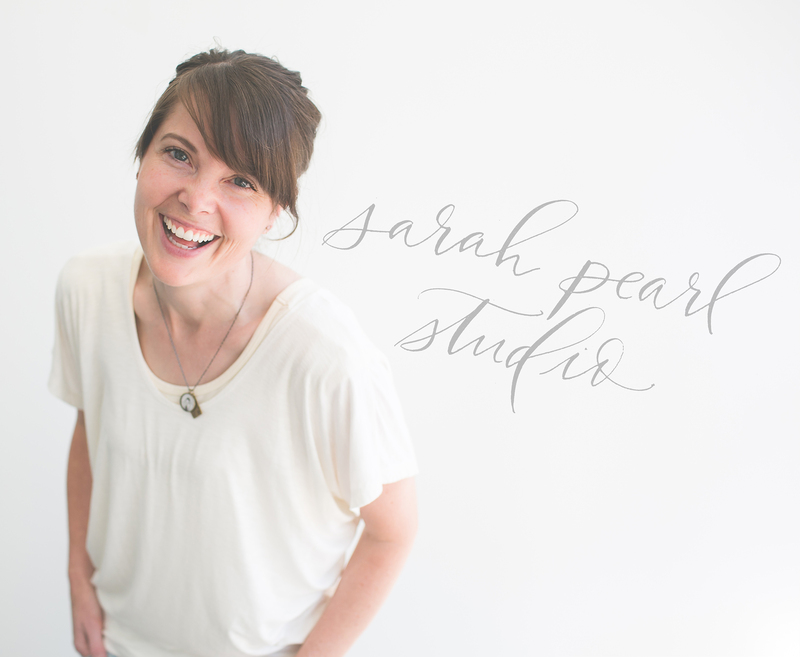 Hi, I’m Sarah Pearl Foutz, from Sarah Pearl Studio! I live in Boise, Idaho and can’t think of a better place to raise my 5 kids (and husband). My love for lettering began at a young age when I would pour through my grandma’s magazines each Sunday and fill out all of the mail-order forms in my best handwriting. Moving on to junior high, I became the master of bubble letters and note-folding (ancient text messaging at its finest!). When I went to college, every semester I promised myself that I’d take a calligraphy course. When I found out I was expecting my first child, then the focus became simply graduating, and the course in calligraphy (and floral design and advanced clogging) was replaced by graduate courses in psychology. To this day, graduating with a 1 month old is still one of my proudest achievements! Fast forward to my current life—I really can’t believe that this will be the first year all of my kids will be in school full-time. In preparation of this momentous occasion, over the last couple of years I’ve been rediscovering what my passions are so I’d be productive while they were at school (you know, instead of watching soap operas!). I have always been a very creative person who enjoys a diverse range of “handicrafts” ranging from designing adorable crocheted bootie heels for babies, to sewing repurposed vintage dresses, to embroidering my whimsical sketches. Even though I loved all of these past times, I would bounce around from one hobby to the next to keep myself interested. (My husband thinks I have crafty ADD). 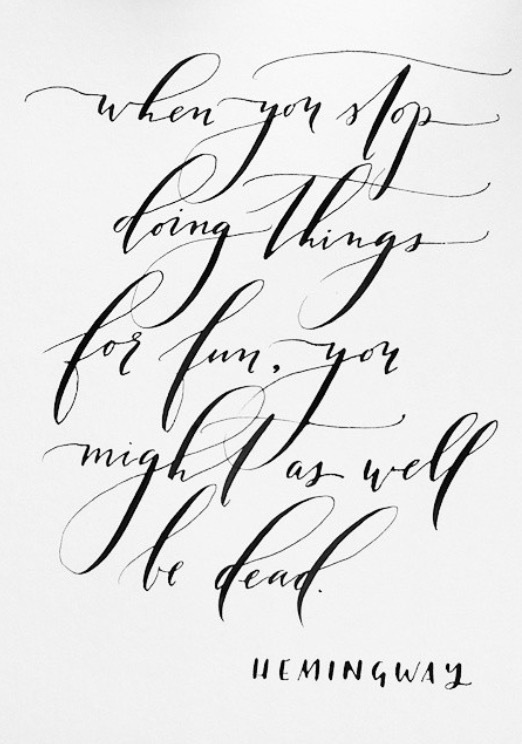 However, when I started dabbling in calligraphy, I never looked back. 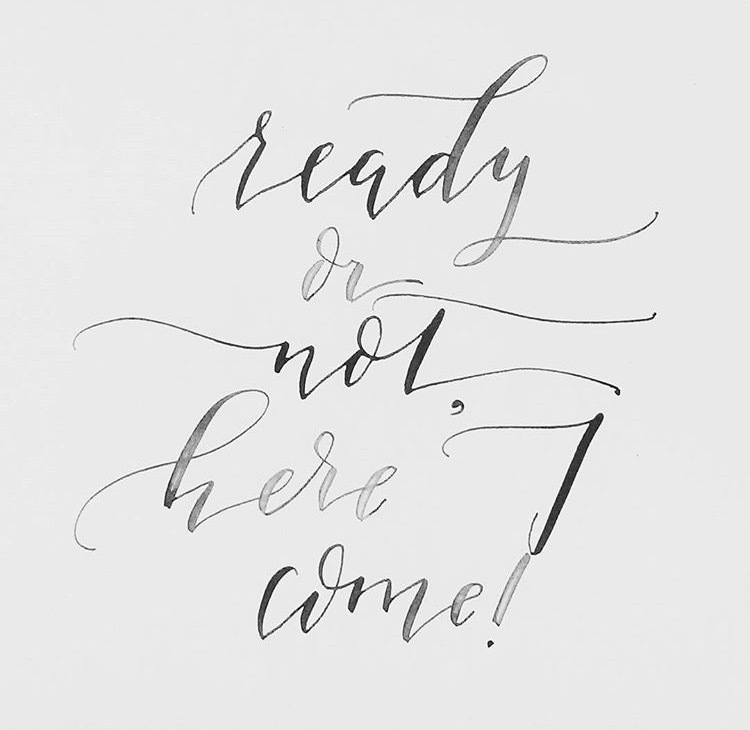 When it comes to learning something new, I become borderline obsessed, and calligraphy was no exception. I immersed myself into the art whole-heartedly through a variety of books, online courses and websites, and practicing any chance I got, usually for several hours a day. In July 2015, I had the amazing opportunity to study with Master Penman Barbara Calzolari, at an intimate workshop setting in California. Even though I pride myself on being almost entirely self-taught, that experience taught me the value of one-on-one mentoring and encouragement, and is something I will cherish for a long time. 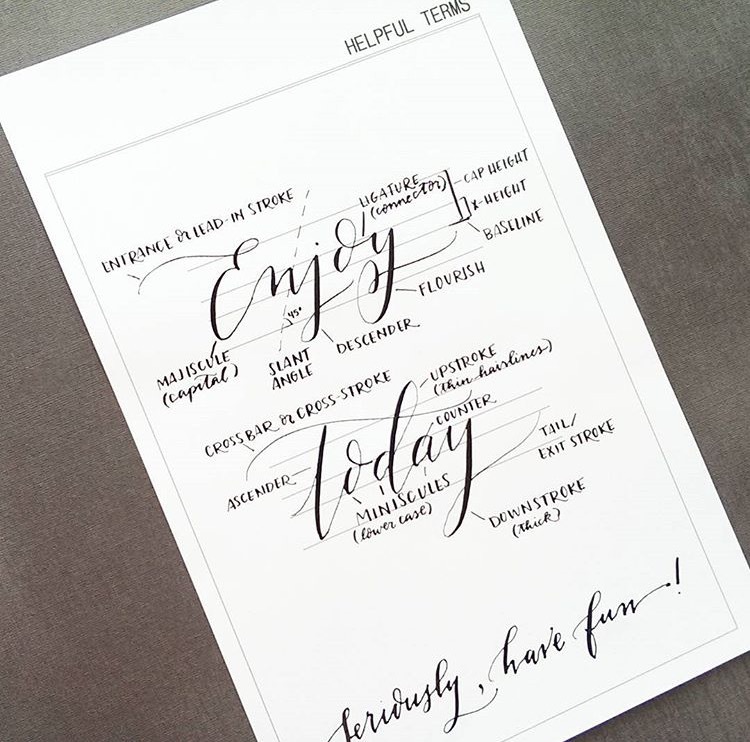 The thing I love the most about calligraphy is the ability the hand-written word has to evoke emotions. The rich swells and hairlines are reminiscent of a different era, and brings out the romantic in all of us! 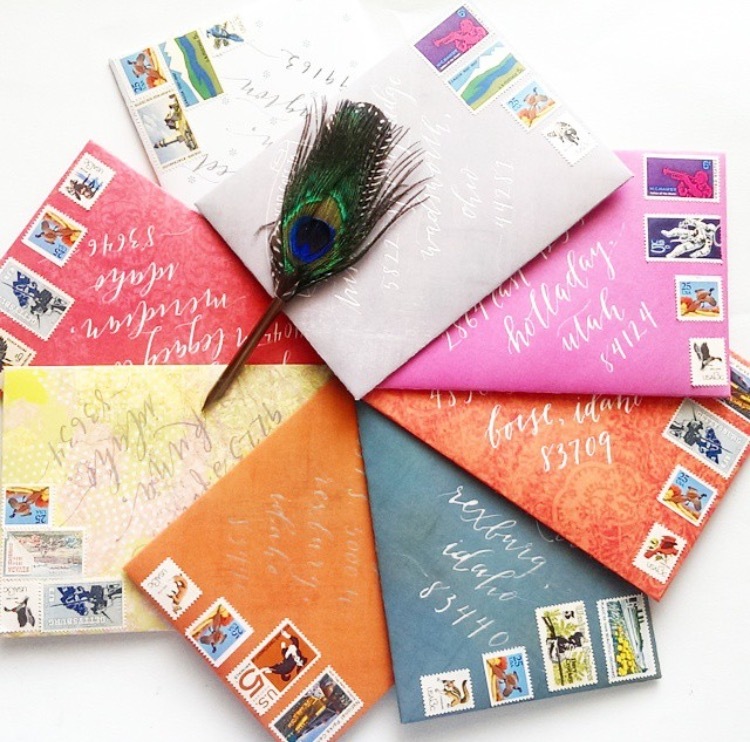 I love sharing this gift with others through letters, cards, and prints, and obsessing over the little details like handmade paper and vintage stamps. I think we all yearn for the human touch of communication in this fast-paced technological world, and when people know you’ve taken the time to make something handmade just for them, it touches their heart in a significant way. Making a positive difference in people’s lives is what keeps me coming back to the pen every day. 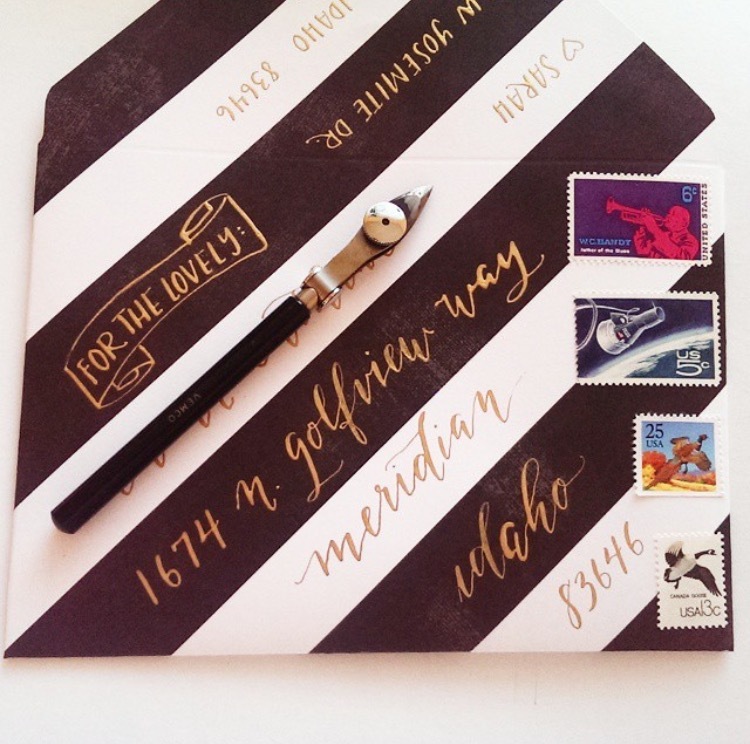 I hope I can share the joy of calligraphy in the Treasure Valley and inspire others to keep the spirit of penmanship alive! 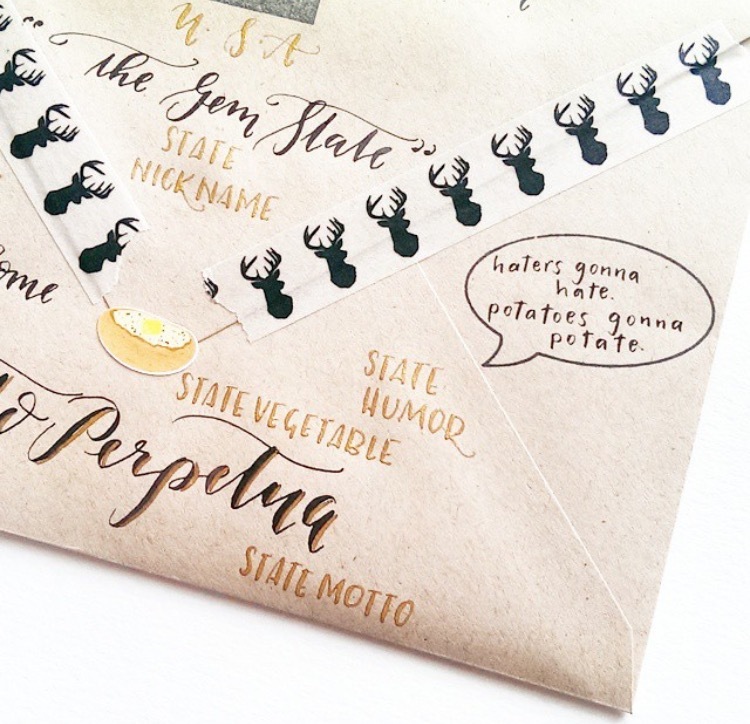 Make sure you follow Sarah’s beautiful work on Instagram @sarahpearlstudio –It makes us happy every time we see her funny, gorgeously scrawled sayings and “happy mail” that makes one excited to open the mailbox! !